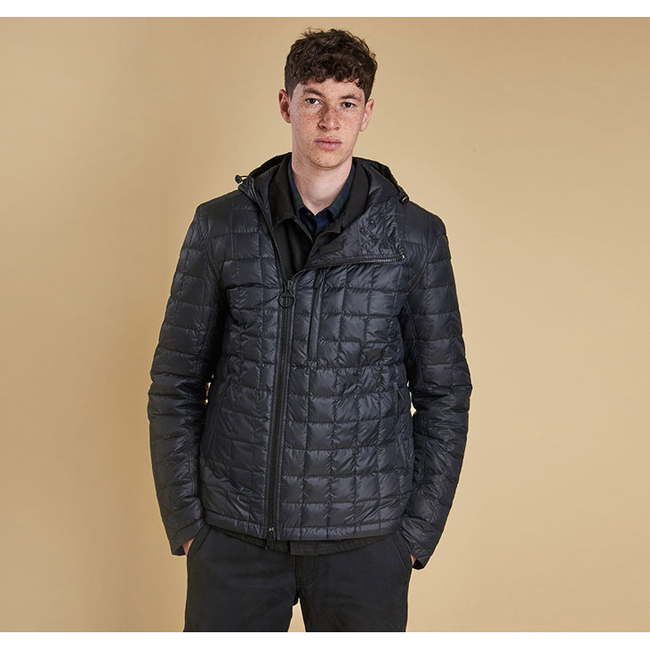 This slim-fitting box-quilted jacket keeps cold weather at bay with adjustable studded cuffs and a generous hood. Features three zipped outer pockets and an inner mesh pocket, plus a zipped inner pocket for folding the jacket away into when travelling. Back length: 73.2–76.2cm | 29–30"
Nice looking and very warm. Not yet cold enough in the Northeast to wear this jacket but I can tell it will be quite comfortable on the coldest days. However this is not the coat to wear if you are going to be in and out of stores or other heated spaces, you will be very warm. It's an outside in the snow with the kids all day type of coat. Columbia's wear is always good for cold weather BUT I bought a sweater like the one in the picture and I got a sweater with the colors switched, I mean the light gray in the bottom and the darker gray on top and sleeves.... is not bad, it looks great and it is comfy. 3 stars because of the mistake of the switched colors. Arms are way oversized, length is fine..BARLEY jacket is NOT LIGHT BEIGE, it's much closer to DARK BROWN. Do not be suprised when you get it and it's not the color you want. For 70 bucks? Not acceptable.